The king of italian horror, LUCIO FULCI (1927-1966), was a true cinematic master who dazzled audiences with his shockingly violent and brutal movies (Zombie, City of thre living dead, The beyond, The psychic, ...). 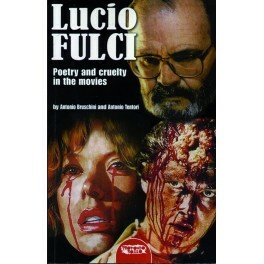 This book explores Fulci’s career as a director and each of his movies is reviewed in depth. Plus: a highly detailed filmography, posters and stills.